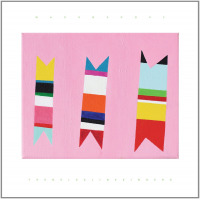 In his liner notes, Nels Cline claims that New Monastery is not a tribute record to iconic pianist Andrew Hill, but merely one view of the rich potential found in his multifaceted compositions. 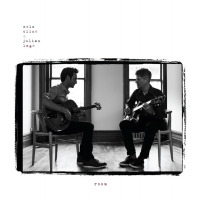 The guitarist assembled an unusual sextet to explore the bittersweet and occasionally turbulent world of Hill's music. 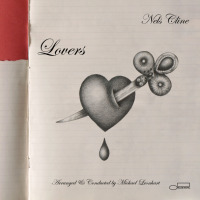 Accordionist Andrea Parkins, clarinetist Ben Goldberg and cornetist Bobby Bradford were recruited to join Cline's ironically named trio with bassist Devin Hoff and drummer Scott Amendola, the Nels Cline Singers, to revisit these classics. 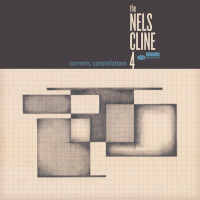 Opening with one of many medleys, Cline blends the ruminative "McNeil Island" with the spirited momentum of "Pumpkin," spotlighting Bradford's deft cornet pronouncements. Half the tunes are arranged as such, blending similarly themed pieces together without ever leaving their core attributes behind. The loose swing of "Yokada Yokada" is infused with boisterous energy courtesy of a deconstructed variation on "The Rumproller," featuring Cline's infectious, distorted lead guitar. Delivered with genial swing, "Reconciliation/New Monastery" reveals the group's euphonious side. The album's epic centerpiece, "No Doubt/11/8/Dance With Death," is an expansive journey from tumultuous invention to introspective reflection. Of the singular tunes, "Dedication" is the most traditional, with restrained, lyrical excursions from Cline, Bradford and Goldberg. "Not Sa So Sa" maintains the original's unruly angularity. "Compulsion," the invigorating finale, opens with Cline and Parkins weaving waves of feedback and noise into pure sheets of sound. Amendola's fiery trap work modulates into a stalwart tribal groove backing Bradford's righteous variations and Goldberg's angular contra-alto clarinet. The ensemble regroups before the coda, reminding one just how futuristic Hill's music can be, in the right hands. This unconventional lineup is a marvel; the rhythm section is harmonious and insightful, providing resourceful support to the unique front line. Andrea Parkins' electric accordion unleashes unorthodox textures, while Goldberg alternates between clarinet and contra-alto clarinet with remarkable fluidity. With a gorgeous, weathered timbre, Bradford is the session's unspoken MVP. Years of experience have given him a distinctive tone and utterly singular phrasing. 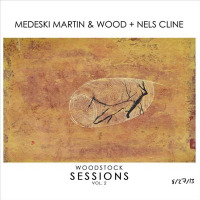 Cline never dominates the session, but when he does step out, he does it with wide-ranging veracity. His blistering assault on "Compulsion" is the album's most intense statement, while his tender lyricism on "Dedication" is the inverse, beautifully restrained. Hill's writing is far removed from the standard head-solo-head format and conventional chord changes employed by many of his post-war contemporaries. 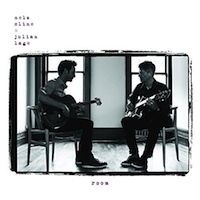 His reliance on melodic structure and varied dynamics enable musicians as forward-thinking as Cline to find their own way through these structures. New Monastery is more than a tribute to a fantastic composer, it is a reminder of the timelessness of great music.